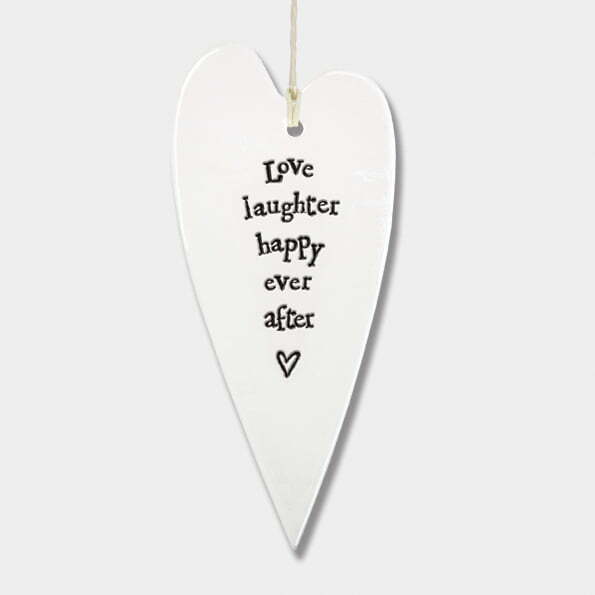 Love Laughter Happy EverAfter . This collection of rippled porcelain hearts make excellent gifts or decorations for your home. There are a variety of messages to chose from , that can be sweet, humorous or inspiring.